About half of Americans support his decision to order a missile strike in a Syria last week, according to a poll released on Sunday. A new HuffPost/YouGov survey shows that 51 percent of Americans back Trump's recent action in Syria, while 32 percent oppose. Another 17 percent said they were uncertain. With 83 percent, an overwhelming majority of Trump supporters agree with the president's military action, just 11 percent disagree. There is, however, a divide among support based on age. Older Americans were far more likely to favor the airstrikes. Adults 65 and older were nearly twice as likely to support the attack than those 30 and under. The president has received a considerable amount of praise, from both sides of the political aisle, for his action responding to a chemical attack that was carried out against the Syrian people last week. And his approval rating has seems to have leveled out amidst the praise. 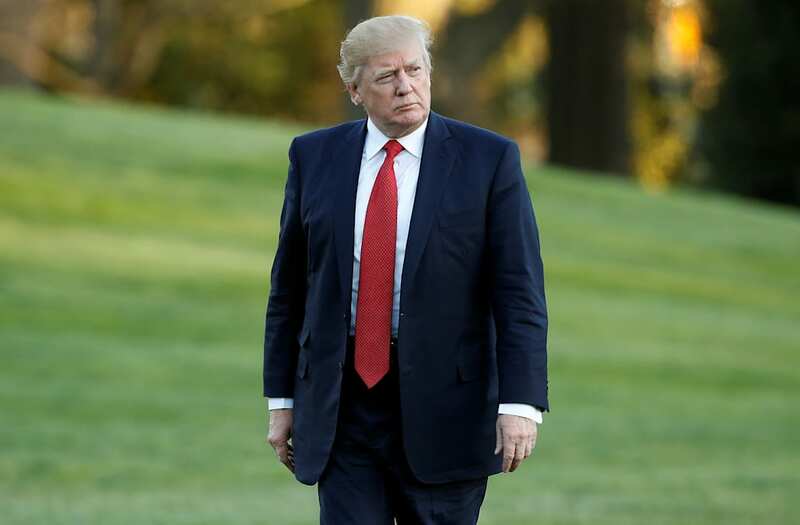 According to the latest Gallup daily tracking poll, Trump's job approval rating has sat at 40 percent since Thursday -- a noticeable improvement just two weeks after dipping to 34 percent, Trump's lowest rating of his young presidency. Some of the president's critics resurfaced a Trump tweet from 2012 last week in which he suggested that then-President Barack Obama would attack the Middle East in a similar airstrike in order to combat weak job approval polling numbers. But Trump's approval numbers are still historically low. At this point in President Obama's first term he held a 61 percent job approval rating--George W. Bush was at 59 percent, Ronald Reagan 67 percent.